lights went on and off, to dealing with the branches, trees and other yard items blown down, there were consequences. 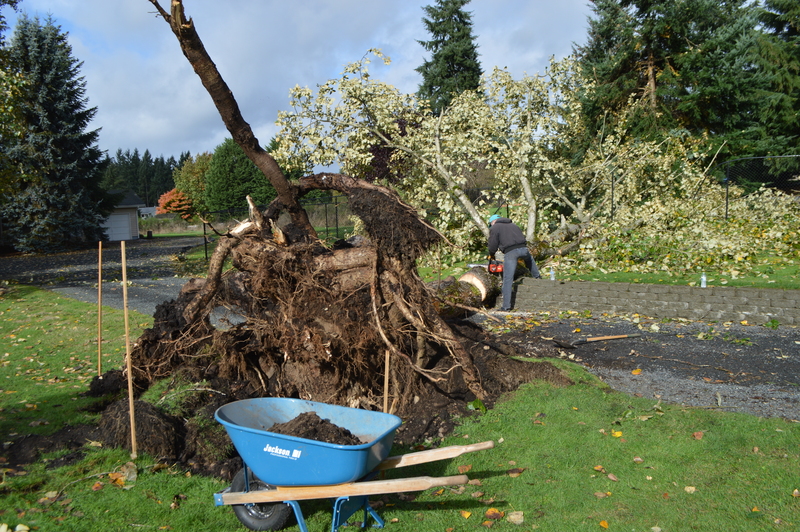 Passing through Frederickson near the Cross Park site, I saw neighbors dealing with a full-grown Cottonwood tree that took out a nice chain link fence, but thankfully not the roof of any buildings. 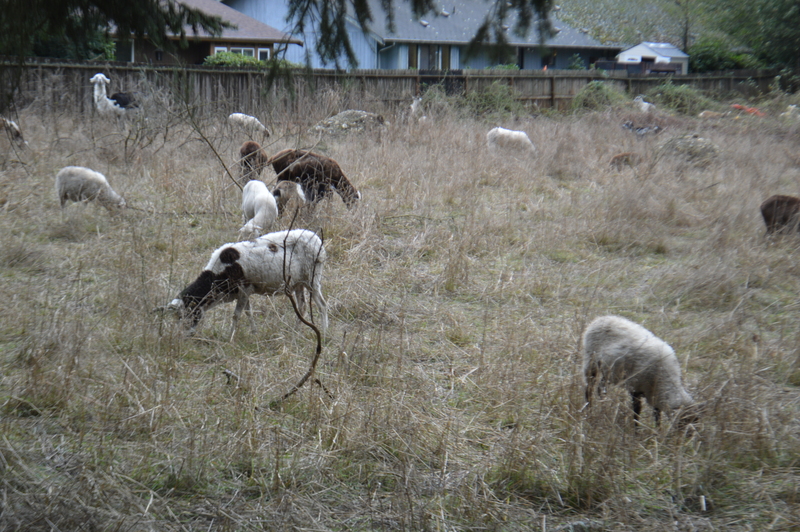 Near Spanaway Lake High School, out of control vegetation growing lush from this year’s great weather was being placed into submission by a large herd of goats. Always good to see that hungry goats are being feed and no pollution is being created, not to mention how much less work this is for the land owner. Previous Post Lemay’s Marymount Trunk or Treat – a hit even in the rain!